While the likes of Calvin Harris or the Chemical Brothers have little to fear from his recreational activities, Tatsumi's love affair with music began very early -- before he was even born, he claims. 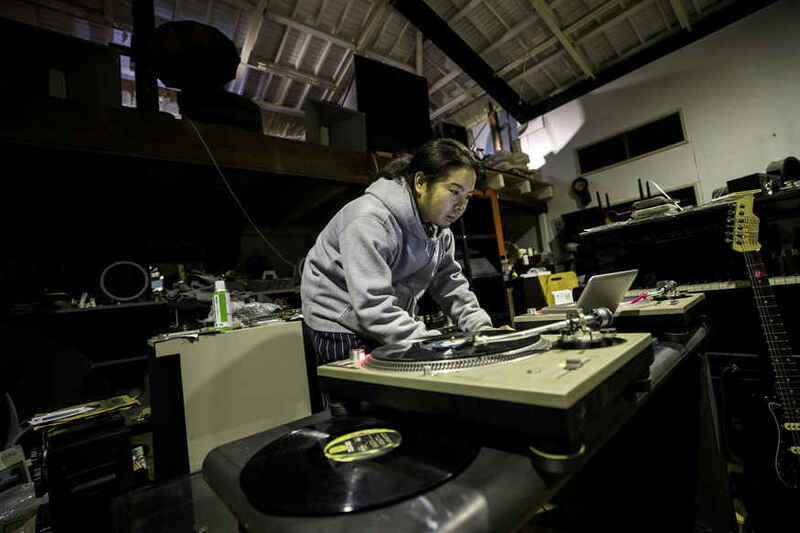 At a remote temple in Japan cradled by a croissant-shaped mountain range, Akinobu Tatsumi leads a rare double life -- as a Buddhist monk who preaches about DJing. The amateur enthusiast has been dabbling in hip hop since he was a teenager and makes clandestine recordings of his own ambient music while his temple, located in deepest Kyushu, western Japan, sleeps. After keeping his nocturnal hobby a secret from fellow priests for years, the 38-year-old Tatsumi now gives record-spinning tips to his ageing temple-goers. "It's true a monk does usually deliver a regular sermon," Tatsumi told AFP at Syousanji temple. "When I first began playing the grannies music and showing them how to scratch, they did look a little bemused. Around here people call me the funky monk," the wannabe DJ added in an interview after chanting a sutra. Tatsumi isn't your typical Buddhist monk. He has long hair, tied in a ponytail, and fancies himself as a human beatbox -- a genre also steeped in hip hop culture. "I was influenced by hip hop -- I started listening to Run-DMC and Public Enemy," said Tatsumi, nimbly sidestepping the issue of rap music's explicit lyrics. "I got into beatboxing in that way. I used to practise on the edge of a cliff, where there was a lovely echo," he added. Tatsumi's digression from Buddhist writings to scratch sermons was fraught with risk -- he also says he kept his monastic life hidden from night-time venues he played at. "I didn't tell other priests about my music but also hid the fact I was a priest from bars and clubs," he said. While the likes of Calvin Harris or the Chemical Brothers have little to fear from his recreational activities, Tatsumi's love affair with music began very early -- before he was even born, he claims. "My mother used to hold a speaker to her tummy and play me classical music or 70s disco," he said, noting, "Later when I discovered those records and played them, I felt I had heard them before, which was weird." Tatsumi takes care not to anger his fellow priests, using headphones when he mixes his music -- which combines electro and dubstep with Buddhist chanting -- to avoid getting into trouble. Even when he was diagnosed with multiple sclerosis four years ago, Tatsumi persisted with his hobby, making music from his hospital bed. "I used to use the beep-beep of the heart monitors to make club music," said Tatsumi, who now walks with a cane. The one-time skateboarding monk believes his illness has brought him closer to his fellow devotees. "I suddenly felt a connection with the aged and temple-goers who were suffering from illness or injury," he said, adding, "These days I get on famously with the old folks!"